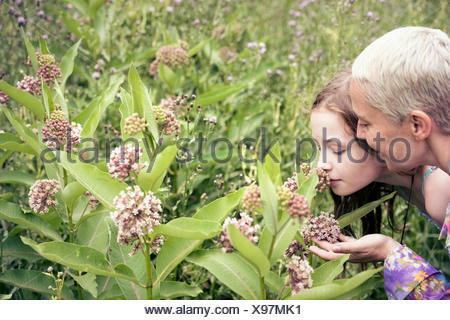 A mature woman and a young girl in a wildflower meadow looking closely at the flowers. 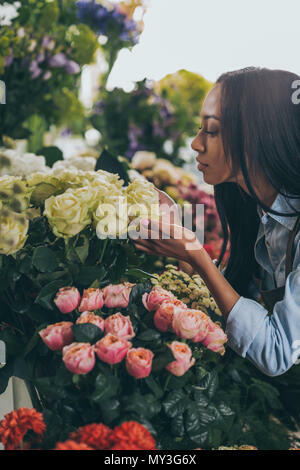 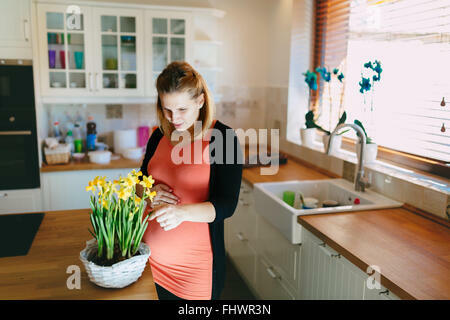 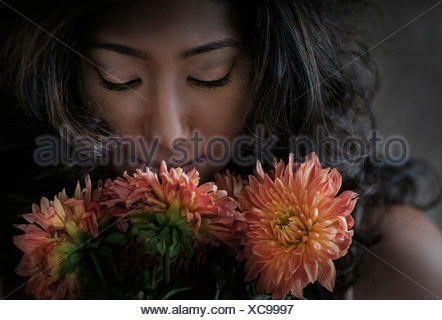 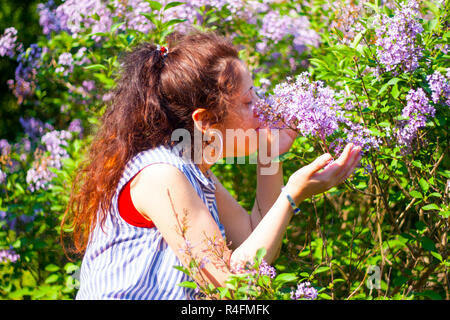 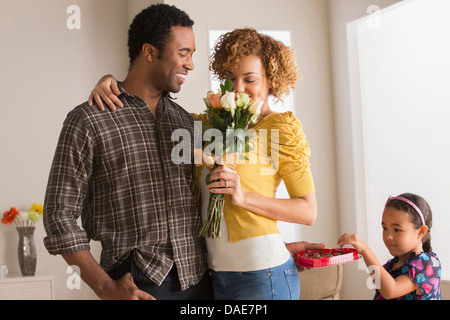 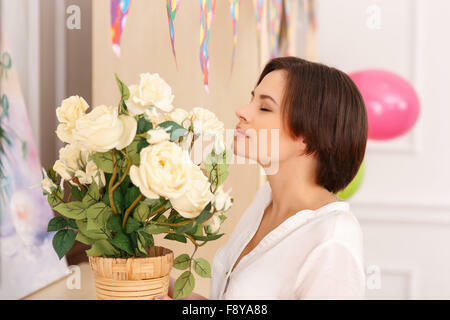 Young woman smelling flowers. 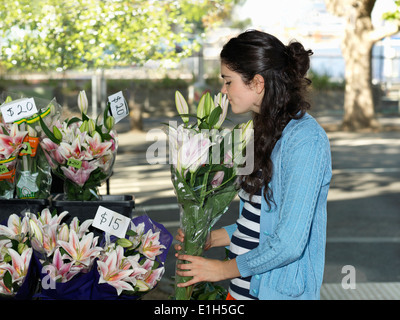 Istanbul,Turkey.